There are Bluetooth, NFC, and WIFI for short-range communications technology, and they have their own advantages and disadvantages, but also they could be a leading position in their own expertise areas. 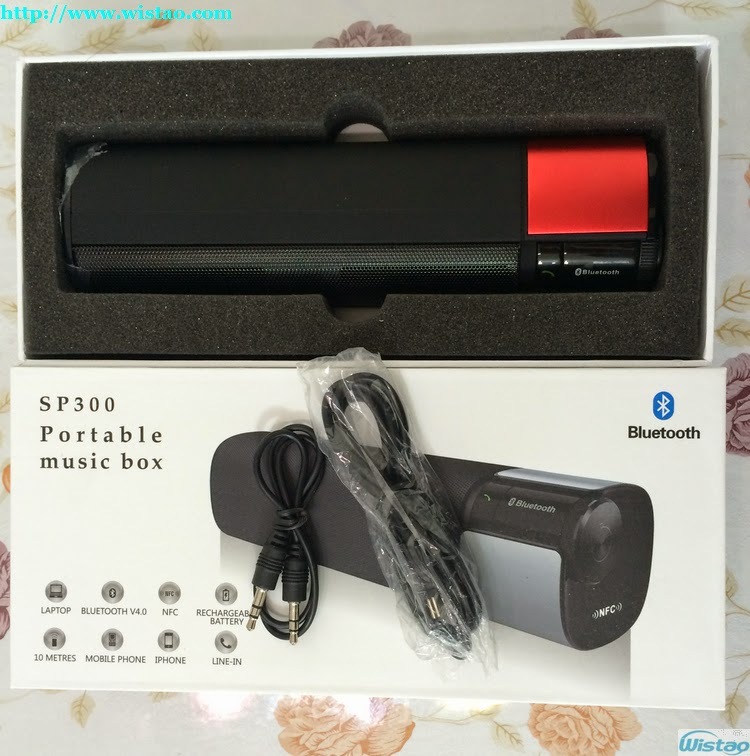 However, they are not mutually exclusive, but they could be a complement each other, and it become better solutions or products by mixing together, such as Bluetooth speaker with WIFI plus Bluetooth, or Bluetooth devices with Bluetooth 4.0 plus NFC, it may be develop more convenient and excellent product for user experiencing like as NFC & Bluetooth speakers. So these integrated technologies can also be applied to other fields. With forces of smart mobile terminal widening, it is lifted wireless-related technologies and NFC (Near Field Communication technology) is prevalence. Possibly some people thought, Bluetooth technology which has accompanied the mobile terminal for years somewhat seems eclipsed, it perhaps every dog has its day. However, the biggest advantages of Bluetooth technology still is low power consumption, stable, low-cost, high security, as well as Bluetooth technology has developed a broader category of products in the past years. The market is expecting that sales of Bluetooth products will exceed 32 billion in next five years, as well as a large-scale ecosystems of Bluetooth is expected to get quite fruitful. Currently, Bluetooth technology has developed to 4.0 version, and compared with the previous version, substantial improvement is transmission of technical specifications, which is better than Bluetooth 2.1 + EDR and 3.0 + high-speed, in particular it solved a problem of large power consumption when devices apply for high-speed transmission applications via Bluetooth, devices can be switched working modes according to different work situations in the new version of the Bluetooth specification. In the Security section, Bluetooth 4.0 version applies a 128-bit AES encryption, and is very suitable for those areas requiring high security using. As for low power consumption, Bluetooth 4.0 technology has a very low operating and standby power consumption, if using a button battery, Bluetooth 4.0 device can work continuously for several years. If it is able to match energy acquisition-related technology like as solar at that time, I believe it is free to use battery, make mobile devices be more light and thin for product volume. In addition, Bluetooth technology has been widely used in daily life, Bluetooth device is gradually increasing, also it can remove limit of pairing number through Bluetooth 4.0 technology. It is often criticized by consumers that pairing verification is too complicated in the past, but now this problem has been fundamentally resolved. Bluetooth SIG said that they spotted NFC business opportunities, and has combined Bluetooth 4.0 and NFC technology to provide safe and easy online pairing, so that consumers will pair online those devices which have two functions both when pairing just gently touched, it will be able to start online validation and automatically complete the pairing. Mostly common devices equipped Bluetooth technology are Bluetooth speakers, Bluetooth headset, and Bluetooth stereo or other AV products. However, with evolution of Bluetooth technology continuously, it has begun to reach out to individual health and sports products, in the other hand , sensor devices equipped into mobile devices, it will fully meet consumer requirements of health care, sports and fitness, security, entertainment and home automation for Bluetooth Smart sensor applications in the future, as well as a varieties of Bluetooth products open more channels in networking applications, I believe that Bluetooth will occupy a place for development of the Internet of Things in the future also. There is a Bluetooth 4.0 speaker with NFC as below. Such a good information regarding to Best Bluetooth Headphones for athletes, Best Bluetooth Headset, Bluetooth Headphones, Bluetooth Headset, Bluetooth Earbuds and Bluebuds X. Thanks For sharing with us. .And keep share more blogs for us. We can get many concept about update technology history . If you want to know more update information technology history anyone see this important site. TYLT Black Wireless Chargers USA imagine you placing your Smartphone on one of the best wireless chargers with a TYLT 45 degree angle design to easily view your screen while charging. I am really grateful to you for this Big App Shopping Days amazing post which you have given here, its really nice and fantastic. Awesome post! thanks for sharing it with us. :) and also Visit Circuloncanada.ca to get information about Electric griddle . Great post ! It's hard to find quality writing like yours .Thanks for sharing with us ! And also if you are looking for Content writing agency Then please visit TechGlobe Media Now ! And also Silvercreek Online Clinic is one of the best online medical clinic in Arizona . Visit us now!